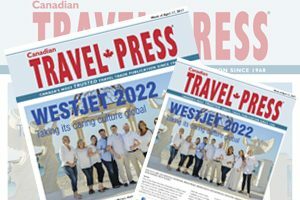 One of the things that Jane Clementino is telling travel agents these days is that as WestJet follows its Vision 2022 plan to become a global airline in the next five years, its “culture of caring” won’t be changing. Yet in a world where agents are being constantly bombarded by all sorts of information, it’s only fair to ask Clementino how WestJet is going to get its message of change heard by the agency community. For the full story, check out this week’s digital edition of Canadian Travel Press by clicking here.